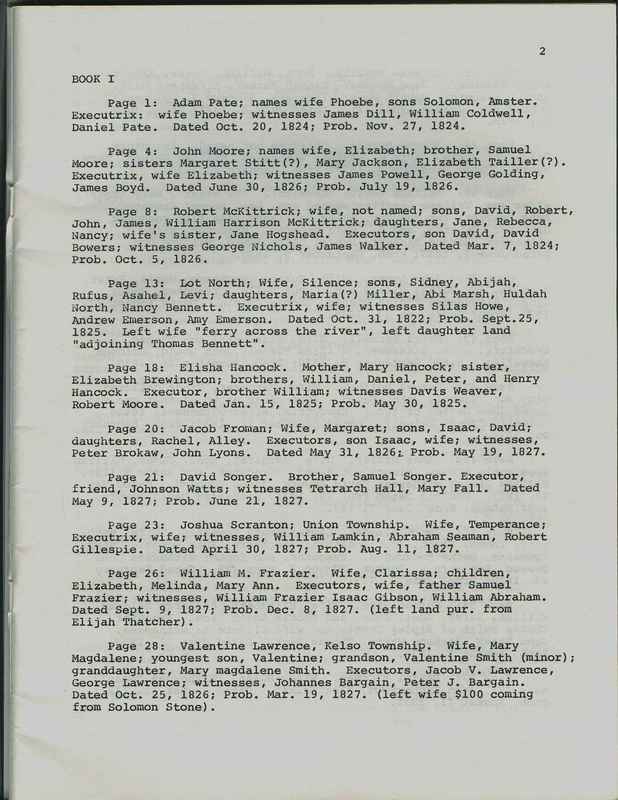 These wills for Dearborn County range from the years 1850 – 1919. The information listed is person’s name, year of death, book number and page number. We can make copies of these wills for a donation of $2.00. Send a copy of your request to Dearborn County Historical Society, 508 W. High Street, Lawrenceburg, IN 47025.